The Ness of Burgi is located on the southern tip of the south Shetland Mainland and the track leading to it is for the most adventurous explorer. We would advise waiting for a calm dry day! 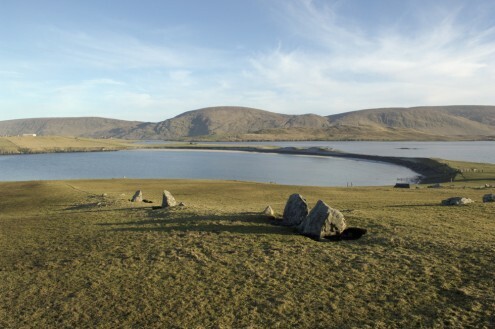 The Ness of Burgi is situated at the end of a series of rocks leading out into the sea. Parts of the path are very narrow and are being eroded by the sea so a handrail has been provided to enable a safe crossing. 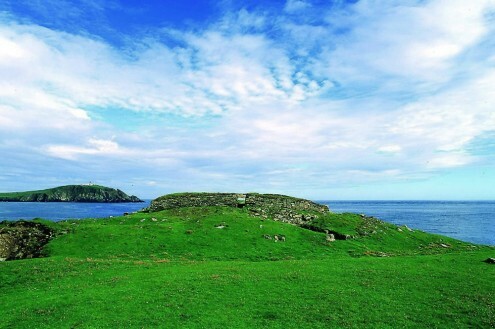 However, when you get to the Ness of Burgi you’ll find an Iron Age blockhouse (similar to Clickimin broch and standing 2m high – originally it was twice as high and roofed). It is a fantastic hidden gem in a spectacular location! 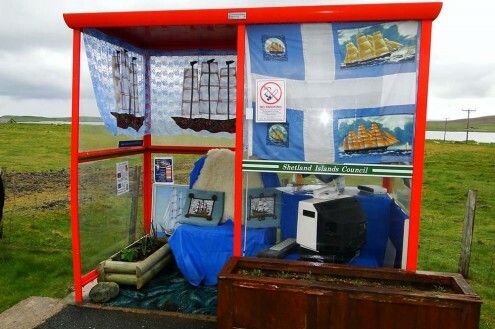 A bus shelter which sits on the corner of the main road through Unst, and the Little Hamar Road. Since its construction in 1996 (it replaced an older bus shelter following an appeal by a school pupil named Bobby), it has been decorated with comfortable seats, a TV, a two bar heater, hamsters and more. The theme changes often! Banna Minn is a small bay on the island of West Burra. The land above the bay is a thin sliver and the landscape surrounding it is beautiful. It’s a great place to take photographs. The beach is usually quiet. 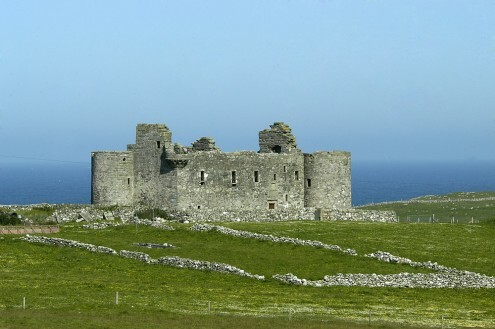 Muness Castle is the most northerly castle in the UK and was built for Laurence Bruce by Andrew Crawford, who built Scalloway Castle. It is a stunning building, which was attacked and burned by a band of privateers in 1627. It is free to visit and torches are provided to help with exploring the dark passageways and rooms. So what are you waiting for? Journey with NorthLink Ferries to the breath-taking Northern Isles this summer and experience the beauty of Orkney and Shetland for yourself. Discover the amazing archaeological treasures, sweeping views and magical landscapes of these islands during a holiday that is sure to refresh the spirit and make your heart sing. Our thanks to NorthLink Ferries for the wonderful tips – all images courtesy of Charles Tait ©.